Follow the money trail to Albany. The company, California-based Soraa, agreed to create 250 full-time, high-tech jobs at Collamer Crossing Business Park and to encourage Soraa contractors and suppliers to create another 170 jobs in Central New York. In return, the company would be allowed to lease the factory for $1 a month for 10 years. But the deal with SUNY Poly’s Fort Schuyler Management Corp. did not require Soraa to spend any of its own money to build or equip the factory. And it contained no penalties if the company did not occupy the building or create the promised jobs. The company never even signed a lease. 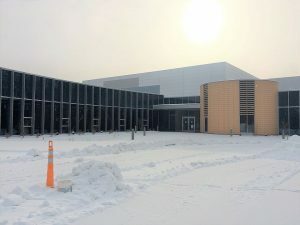 So when Soraa recently said it no longer needed the factory and pulled out of the deal just as the state was completing construction of the 82,000-square-foot building, there was nothing the state could do about it. The state was left with a factory, nearly fully equipped, but no company to use it. One expert said using state money to custom-build a factory for a specific tenant is bad policy. The state has found another company, but taxpayers will have to spend up to another $15 million to properly equip the building for the new company.